Take a deep breath and let your thoughts run free! After treating the whole body to ease tense muscles and loosen deep connective tissue, the joints are stretched using different techniques, such as friction, kneading, vibration and beating. If feeling stressed, worn down or just adventurous, then a soothing traditional Khmer body massage with aromatic oils could be the answer. It would leave you fully relaxed and craving for more. The foot massage is also reputed to relieve tension. Try it and experience the difference. 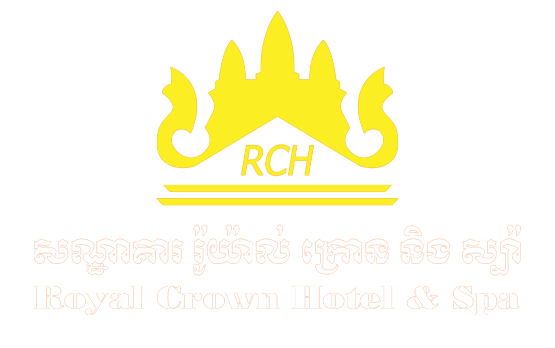 If you're interested for spa & massage service, please submit your inquiry to us at info@royalcrownhotel.com.kh with name, preferred treatment date & time, and special request if any.